We are a boutique firm with more than 30 years of experience that emphasizes knowledge and skill to help clients secure the full compensation they deserve in even the most complex circumstances. Our strength as litigators is known throughout our area. We are always prepared to fight for our clients' rights and the compensation they need to help them through their recovery. Beyond developing and maintaining superior legal skills, we also see the quality of how we interact with our clients as a critical component of the service we provide. We know how serious injuries can turn a person's life upside down. 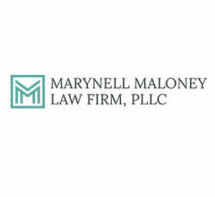 At Marynell Maloney Law Firm, PLLC, we are focused on providing compassionate representation that understands your needs and goals and helps you reclaim the life you had before your accident. To schedule a free initial consultation with one of our skilled and experienced personal injury lawyers, call 210-446-0035. We collect attorney's fees only if we secure compensation for you.